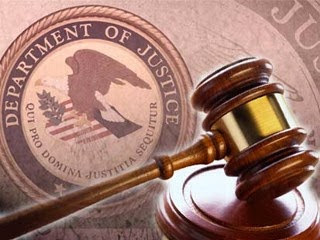 A Maryland gang member pleaded guilty today to his participation in a racketeering enterprise in furtherance of the activities of the gang known as La Mara Salvatrucha, or MS-13, including his participation in two conspiracies to commit murder. Acting Assistant Attorney General John P. Cronan of the Justice Department’s Criminal Division; Acting U.S. Attorney Stephen M. Schenning of the District of Maryland; Special Agent in Charge Andre R. Watson of U.S. Immigration and Customs Enforcement’s (ICE) Homeland Security Investigations (HSI); Chief Henry P. Stawinski III of the Prince George’s County, Maryland, Police Department; Prince George’s County State’s Attorney Angela D. Alsobrooks; Chief Douglas Holland of the Hyattsville Police Department; Chief Edward Hargis of the Frederick Police Department; Frederick County State’s Attorney J. Charles Smith; Chief J. Thomas Manger of the Montgomery County Police Department; and Montgomery County State’s Attorney John McCarthy made the announcement. Selvin Raymundo Salazar, aka “Inquieto,” aka “Little,” 26, pleaded guilty before the Honorable Judge Peter J. Messitte in the District of Maryland to conspiracy to participate in a racketeering enterprise. According to the plea agreement, MS-13 is a national and international gang composed primarily of immigrants or descendants of immigrants from El Salvador. Branches or “cliques” of MS-13, one of the largest street gangs in the United States, operate throughout Prince George’s County, Montgomery County, and Frederick County, Maryland. MS-13 members are required to commit acts of violence within the gang and against rival gangs. One of the principal rules of MS-13 is that its members must attack and kill rivals, known as “chavalas,” whenever possible. Pursuant to his plea agreement, Salazar admitted that from at least 2012 through at least 2014, he was a member and associate of the Normandie Locos Salvatrucha clique of MS-13. Salazar admitted that on Feb. 28, 2013, and again on July 30, 2014, for the purpose of maintaining and increasing his position in MS-13, he and other MS-13 members conspired to murder victims that he and his co-conspirators had identified as chavalas. Specifically, Salazar admitted that on Feb. 28, 2013, in the Lewisdale community of Prince George’s County, Maryland, he and members of the Sailors Locos Salvatrucha Westside clique of MS-13 traveled in a vehicle, searching for chavalas. Salazar was armed with a .380 caliber handgun that belonged to the Normandie clique. After observing an individual that he and his co-conspirators believed to be a chavala, a co-conspirator took the firearm from Salazar, and Salazar and a co-conspirator exited the car and approached the victim, who was standing with a companion. Salazar’s co-conspirator took the handgun from Salazar and shot the victim as the victim’s companion ran away. Salazar and his co-conspirator ran back to the vehicle and he and the occupants of the vehicle fled. Salazar then returned the .380 caliber firearm to the Normandie clique. Salazar further admitted that on July 30, 2014, in Hyattsville, Maryland, he and at least two other members or associates of the Normandie clique of MS-13 approached three victims. According to Salazar, two of his co-defendants pulled out firearms and shot one of the victims seven times, causing wounds to the victim’s upper torso, right arm and face. The second victim sustained a gunshot wound to his right side. Salazar further stated that, prior to the shooting, he and his co-conspirators had been informed by an associate of MS-13 that the victims were chavalas. Five of the shell casings recovered from the scene of the July 30, 2014 shooting were linked to fired casings recovered at other MS-13-related crime scenes, including the Feb. 28, 2013 shooting described above; a murder that took place in Hyattsville, Maryland on Nov. 11, 2012; and a shooting that took place in Laurel, Maryland on March 28, 2014. Two of Salazar’s co-defendants remain charged in the third superseding indictment with various racketeering violations and multiple violent crimes, including murder. The trial of one of the remaining defendants is scheduled to commence on Feb. 20. An indictment is merely an allegation. Those defendants are presumed innocent until proven guilty beyond a reasonable doubt in a court of law. Salazar is scheduled to be sentenced on May 23. HSI Baltimore, the Prince George’s County Police Department, the Frederick County Police Department, the Hyattsville City Police Department, the Montgomery County Police Department, and the Prince George’s County State’s Attorney’s Office investigated the case. Trial Attorney Francesca Liquori of the Criminal Division’s Organized Crime and Gang Section and Assistant U.S. Attorneys William D. Moomau and Lindsay Eyler Kaplan are prosecuting the case.